you have almost as much chance of winning the San Francisco Public School lottery as winning the California Lottery! But there are some lucky parents and kids who got into McKinley, and now it’s our chance to support them. 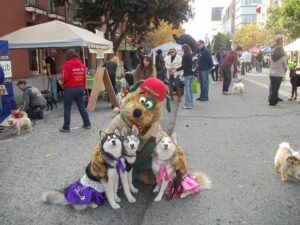 Stop over at DogFest on Saturday, April 16th at Duboce Park. Say “hi” to the counselors and Campy, spin the Pet Camp prize wheel and have a great time hanging out with friends!